Music is an important part of our life. 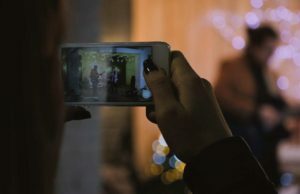 With Smartphones, it becomes, even more, easier to listen to music no matter where we are. People listen to music while traveling, in Parks, while running, in Gym, when sad, happy, with a broken heart or to refresh the mind. Music really helps in repairing the body cells and helps in refreshing the brain. 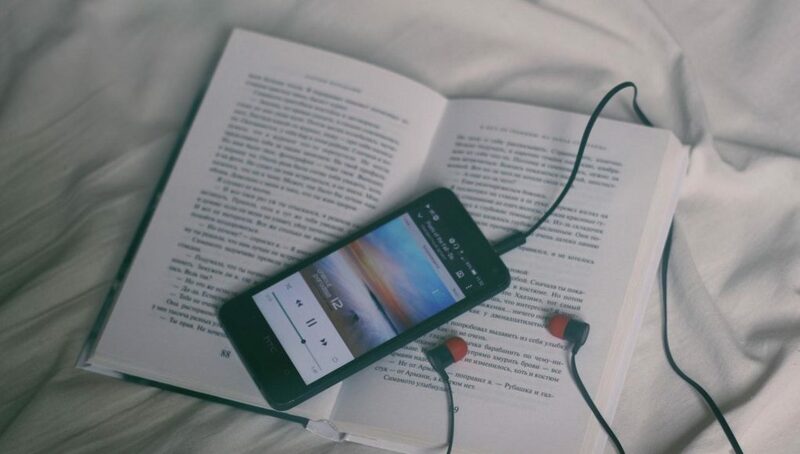 To really enjoy the music or to feel the music, a good pair of earphones is all we need. For me, earphones are always better than the headphones. Earphones are portable, looks cool, give you comfort for longer duration and comes in a different variety. 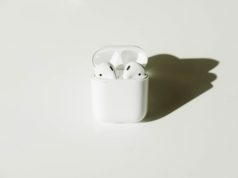 Today, in this post, I am going to tell you 11 great pair of earphones under Rs. 2000 that are available in India. All are best earphones in their respective price range. You can choose either of them. Here is the list of Best Earphones you can buy under ₹2000. For an amazing price range, you would get an amazing pair of earphones by a German Manufacturer Sennheiser. The earphones look same as Sennheiser CX 180 but CX 213 is better than CX 180 in terms of Sound quality. Also. you get color choice in CX 213. The sound quality of earphones is brilliant. The bass is deep and dense (Depends on your Device). The design is well built with black and blue color combination. Silicon rubber gives you comfort even after using it for the longer duration. The only bad thing about Sennheiser CX 213 is that it don’t have inline Mic. Sennheiser CX 213 is best earphones if you want the earphones only for Multimedia purposes and not for calling. For all the Virat Kohli’s fan out there, here is MuveAcoustics earphones by Virat Kohli. There is buzz that Kohli has started his own business venture with MuveAcoustics. Virat is promoting it anyway. Here is the MuveAcoustics Spark with us. First thing first, you will get Ribbon cable which doesn’t get tangled easily. The design of the MuveAcoustics Spark is pretty attractive and the company also claims the Noise Isolation which will cut all the sounds from the external world and be considering the price, this is pretty impressive. There are an unbuilt mic and the inline button for calls and music. The MuveAcoustic Spark is compatible with both Android & iOS. The silicon rubber helps in noise isolation and the good thing is. silicon rubber is sweat proof. So, you don’t need to worry when working out with MuveAcoustics. You will also get extra silicon cushion for different ear-canal sizes. To compensate the need for Mic, we have JBL C100 SI. A great pair of earphones which also comes with an inline mic. JBL JBL C100 SI has a great sound quality which produces clear ups and downs. The frequency ranges 20Hz-20kHz which is good considering the price range. The bass part of music is deep and dense. The whole earphones are made up of plastic which does not look cheap at all. Silicon rubber is soft and comfortable. The only thing where JBL C150A lacks is it don’t have volume controller. But, it has a button which is handy while receiving calls. Compatible with Android and iOS, JBL C100 SI would be a great pick for multimedia and for Calling purpose also. After One Plus 3T, we have OnePlus Earphones with us. This pair of earphones will fulfill all your needs. We all know about One Plus and their quality. OnePlus Bullets V2 is a good example to prove the quality provided by OnePlus. At the price of ₹1,199, you would get an unmatched quality of earphones. The packaging itself speaks a lot about the product. The whole earpiece looks premium and has metallic finishing. As the name suggests, it actually looks like a bullet. It also comes with inline Mic and remote that allows you to adjust the volumes. There would be a next and forward option when long pressed. It comes in 2 colors. If you don’t know anything about earphones and want the Best in the range ₹1000. Without any second doubt, go for OnePlus Bullets V2 Earphones. A well designed, phenomenal sound quality and value for money product from OnePlus. Indeed, the best earphones under 2000. If you want to go wireless in a limited budget, this pair of Bluetooth earphones from Nu Republic is for you. This is a new product in the market but has got some really great package. The design of the earphones is really modern and works great for the gym, running, entertainment. 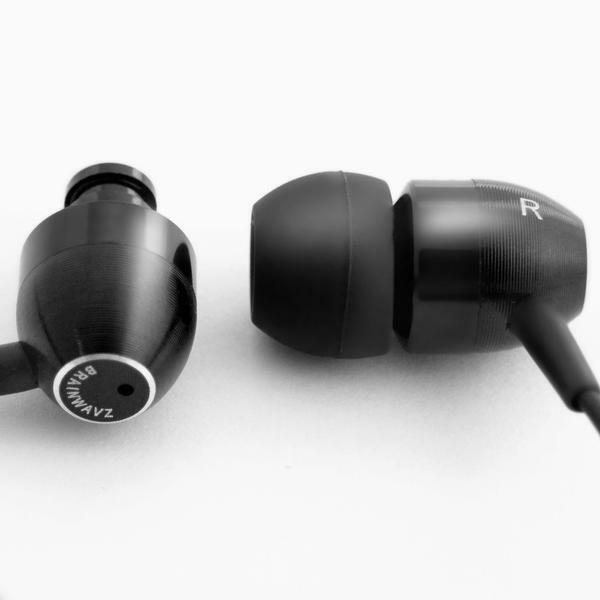 The earphones have the minimalistic design that gives you tight fit even on aggressive motions. The chassi is made up of high-grade stainless steel that gives you elegant style statement and also ensures durability. Talking about sound, the bass is deep and clear. 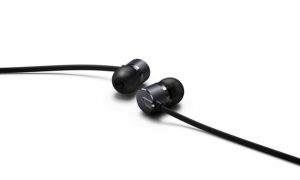 The Nu republic wireless earphones sport 12 mm titanium drivers with multiple-transition diaphragms that mean diaphragm is stiff and strong enough to resonate clear, high-fidelity sound throughout the audio spectrum. Noise cancellation technology ensures best possible call and music quality. The inline remote will give you all the volume, music and call controls. On the full charge, you can listen to music continuously for 5 hours. 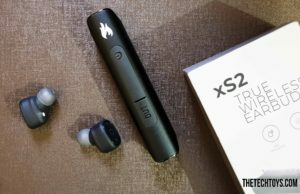 If you want to go wireless, these are indeed the best wireless earphones under 2000. Here is another great pair of earphones that would enhance your music experience. On papers, Sony said MDR-EX250AP has the frequency response of 5Hz-25KHz which is unbelievable if possible. That means you would feel the lowest frequency of 5Hz which is Bass part of the music. The lowest the frequency response, better is the Bass output. The all-over design of Sony is very impressive and weight of earphones is negligible. It is lightweight which feels no weight at all. Good for those who listen to music for longer durations. 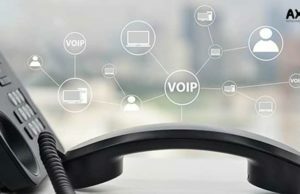 There are an inline mic and a button for receiving calls. You can customize the function of a button through Smart Key App of Sony. 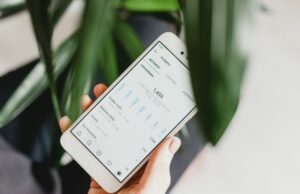 This app lets you personalize the function like Volume Up, Volume Down, Next Song, Previous Song, Play, Pause and Stop. Definitely, you are getting something new and really great from a brand like Sony. 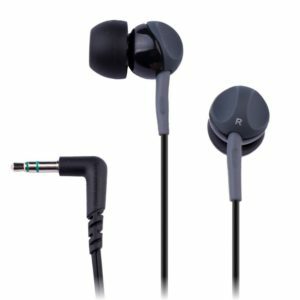 Here we have another great pair of earphones under Rs.2000. Skullcandy is a popular name in the music industry and famous for their funky colors and amazing sound quality. 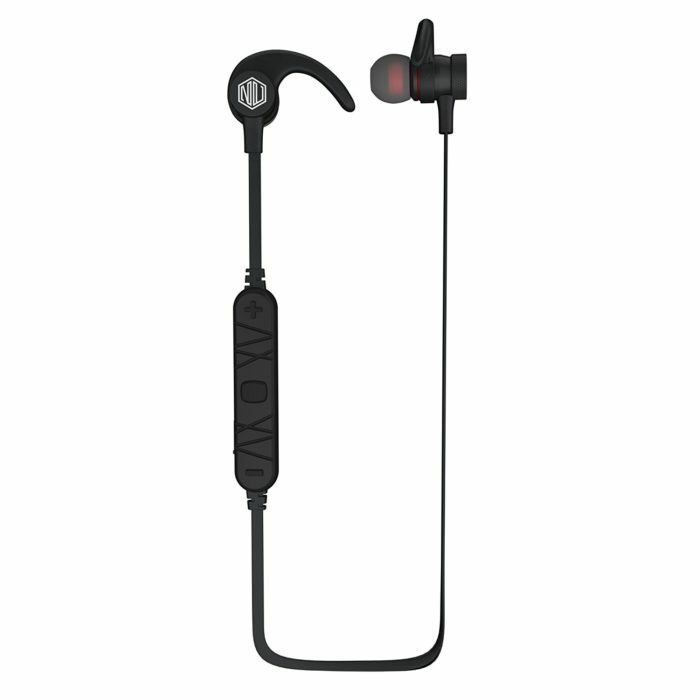 Skullcandy S2PGFY-003 Smokin’ Buds 2 is one of them which comes with an inline mic also. The inline button allows you to receive calls and to control music. The cable of Smokin’ Buds is flat which not get tangled easily. The whole material is moisture resistant which is good for those who takes earphone to the gym or while running. 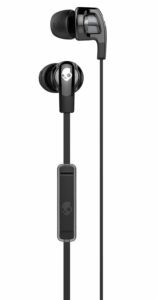 So overall, Skullcandy is providing a great pair of earphones that too under Rs. 2000. Worth Considering it. Another great pair of earphones by Sennheiser. This time with better functionality options. Unlike CX 180, Sennheiser CX 275S comes with an inline mic and remote for controlling calls and music tracks. The built quality of CX 275S looks really premium and gorgeous. With this price range, you would get Noise Cancellation earphones from Sennheiser. The noise cancellation will emit all the extra voice from the outer world and would give you an amazing music experience. Compatible with all the devices having a 3.5MM jack (Big thing these days), Sennheiser CX 275S is indeed the best earphone under 2000 and value for money earphones from Sennheiser. Worth buying. Before SoundMagic E10C, I used to prefer tier 1 brands for sound equipment but SoundMagic changed my perception. And yes, SoundMagic E10C is an Award Winning Earphones by What Hi-Fi. Packed in a metal housing, SoundMagic E10C is indeed the great pair of earphones under ₹2000. SoundMagic E10C is one of the best selling earphones under ₹2000 and what makes it most selling earphones is the unmatched sound quality & all over features in this price range. You will get the frequency response of 18Hz – 22000Hz which is pretty good for lows and highs. The SoundMagic E10C offers you a deep and dense bass with well-balanced mids and highs. There is also an inline remote for controlling calls and music. You will also get volume controller within the inline remote which to me is a great feature in this price range. The SoundMagic E10C is compatible with both Android & iOS and you can also use them on PC and tablets. The SoundMagic E10C looks really premium at this price range. Available in 4 vibrant colors, you should definitely try SoundMagic E10C for all over great experience. I know the list is about the Best Earphones under ₹2000 but this MDR-XB50AP is slightly more than 2000. If you can spend 2000 on earphones then you can definitely spend ₹2090 for even better earphones that too from Sony. 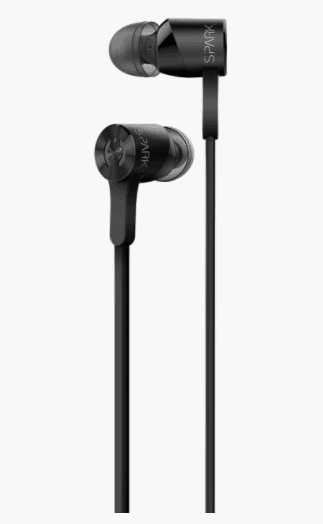 Sony MDR-XB50AP is perfect earphones for those who love Electronic Dance Music. You will enjoy the drops on this pair of earphones. This pair is built for Extra Bass. Again, Sony claims that this pair of earphones has the frequency response of 4Hz-24kHz which is brilliant. The built quality of earphones looks really premium. The lightweight MDR-XB50AP earphones are perfect for longer duration whether for music or for movies and games. It also comes with inline mic and using the Smart Key app by Sony, you can personalize the button for different functions like volume controls, next, previous, play, pause, stop as per your need. You would also get a carrying pouch within the box. A great pair of earphones for bass lovers and a value for money product for everyone. Here is another great pair of earphones from Brainwavz. 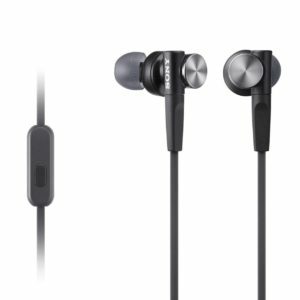 Brainwavz has really great product line of earphones and surprisingly have really great reviews. 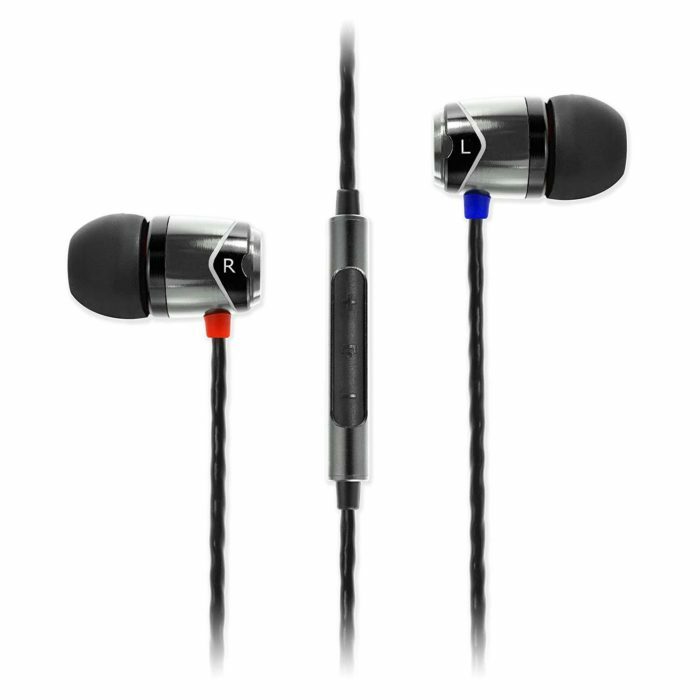 Brainwavz M5 is in-ear type earphones which are enclosed in the metal housing which indeed makes the earphones durable. The wire the M5 is regular one which does get tangled easily but it is not something which directly affects the buying decision. The L shaped 3.5mm jack is gold plated. There are a mic and inline remote for controlling music and for calls. Talking about sound, the M5 has pretty good sound quality. You will get the frequency response of 16 Hz-18 kHz. The bass is deep and dense which don’t get muddy. The mids and highs are great even at high volume. The Brainwavz M5 offers you Noise Isolation which works great and filters out all the noises from the external world. In the box, you will get 6 silicon ear tips, a carrying bag, 1 Bi-Flange tip, a shirt clip. So these are Best Earphones under ₹2000 available in India. You can buy any of them according to your brand preference and requirement. All the earphones sound great and you merely find the difference in the sound. Pro Tip: Don’t hesitate to play with the equalizer. The sound depends on the hardware as well as on Software. If you need bass, go to the equalizer of music player and adjust the equalizer according to your need. What is your favorite pair of earphones? If you know some other great pair of earphones that deserves a place on the list, let me know in the comment section. Don’t forget to share this list with your friends on Facebook, Twitter. Your one share can heal someone’broken heart through soulful music. TBH, Most of them are not good. I don’t see a mention of Marshmallows, Brainwavz, SoundMAGIC and Audio Technica. Do give them a try. Yeah, I know about Audio-Technica and SoundMagic but this list includes the earphones under 2K. The good earphones by Audio-Technica and SoundMagic are above 2K. But thanks. I would definitely consider these for next best earphones list. bullet v2 and Sony MDR-55ap which ones? Sennheiser 213 or brainwavz omega which one is better? 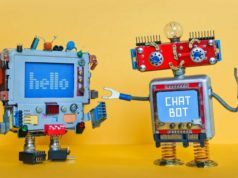 If you need an inline remote, go for Brainwavz Omega. CX 213 doesn’t have inline remote for controlling tracks and volume but it sounds really great. Jayat am going to purchase Sennheiser PX 80 Over-Ear Headphone. What do you think. Is this the best choice under ₹2000? I canceled the order for Sony MDR-XB450AP On-Ear Extra Bass Headphones because I think they emphasize too much on bass which overshadows mids. I use Poweramp and like to play with the equalizer to adjust bass levels. One plus bullet v2 OR Sound Magic.. Need Great sound experience overall..
M biker..need to recieve calls n bit song lisner too.. When you need a great sound experience, go for Sennheiser CX 275s. Between your choice, go for SoundMagic. Which is better sony xb 450 or boat rockerz 510? Rockerz is Wireless Headphones and XB450 is a wired headphone. I would like to recommend you Sony XB450 but if you want wireless headphone, then obviously, Rockerz. Which is better ?? sony MDR-EX255AP or Sennheiser CX 275s or One plus bullet v2..?? Coz, completely confused, and i use the earphone while riding too!! Need Great sound experience overall with good bass!! To be honest, I am using Sennheiser and it is one of the best pairs of earphones I’ve ever had.Earphones are super light, sound is brilliant. If you need extra bass, do some tweaks in the equalizer. 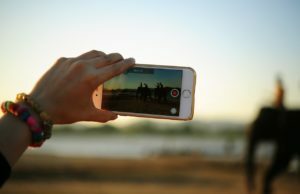 The sound also depends on device you are using. Be extra careful while using Earphones on the ride. Here I would like to suggest Sony MDR XB55. 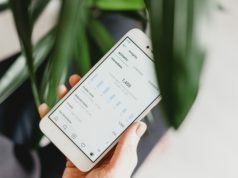 Hi I want to buy nu Republic mentioned in your list, can you say how good it is? You can buy the earphones. In this price bracket, this is probably the best deal. To be honest, I don’t have any experience of buying gadgets from Myntra. As you told, headphones are not returnable, I would suggest you to not to buy from Myntra. Better check lightning deal on Amazon. Also, buy from Authorised Seller on Amazon. 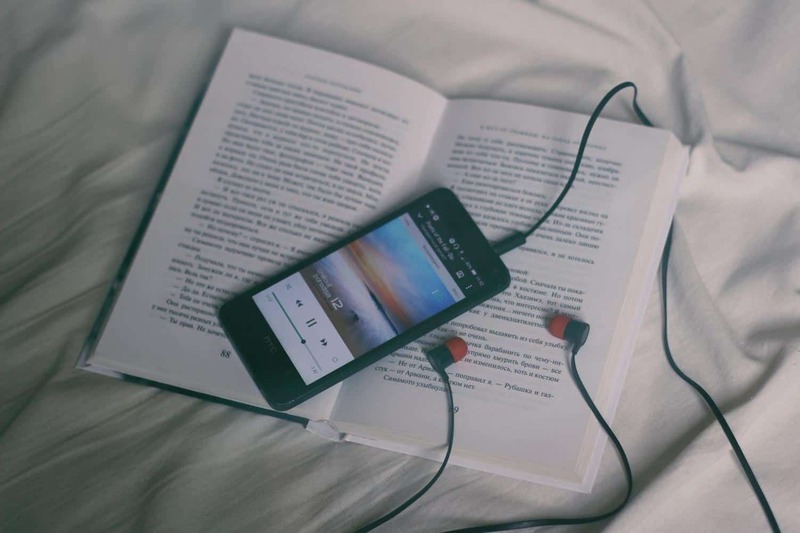 Hi i need a good earphone that reduces traffic noise completely or to great extent to listen to audio books.Please suggest anythig under 5k. You may not get the complete isolation of Noise of the traffic but we can minimize to the greatest extent. You can consider buying RHA MA390 or Audio Technica CKS550iSBK. RHA is my first preference. On the cheaper side, you can consider Sony MDR-XB55AP. Don’t use the earphones in traffic. Keep it safe. Thank you for sharing that but the list only includes the earphones under ₹2000 and RHA 390 is not even close to Rs.2000 that is why they are not included in this list. I believe you missed RHA MA390 Universal (around 2k everywhere) and still beats Sony mdr xb55ap and sennheiser cx275s according to many. I am extremely confused between the three where sennheiser has its brand value sony ones have the premium look and attractive bass and RHA is prasied by everyone for its clarity. let me tell you that I am an EDM fan and not THAT A BASSHEAD but bass attracts me and i don’t want disturbances in the extreme extreme lows n highs which people say sennheiser does create. Could you please help me out ASAP? I am using Sennheiser CX275 and it is working pretty well for me. Let me tell you one thing, I use my custom Equaliser and I always adjust that whenever I switch to a new pair. 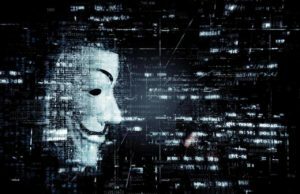 The sound very much depends on the output of the device. Get Sennheiser and customized the Equaliser as per your need. Hope that helped. is it ok to buy Sennheiser CX 275s from amazon or flipkart…or should we prefer to buy from Sennheiser own site. It is perfectly fine to buy Sennheiser from Amazon or Flipkart. 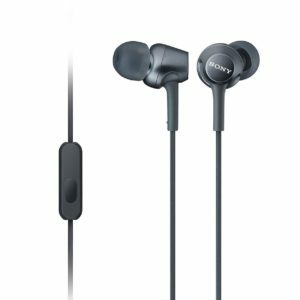 Which one is better sony mdr55ap or senheiser cx275s? I want clarity as well as good bass and also tell which one is mo0re durable? Please reply ASAP. Both the earphones are equivalent. I am using Sennheiser CX275s from last 8-9 months and yes they are pretty good. Heyy, thanks for the post. Super confused between RHA 390U, Sennheiser cx275s and Boat Rockerz 255 Sports. What’s your take?